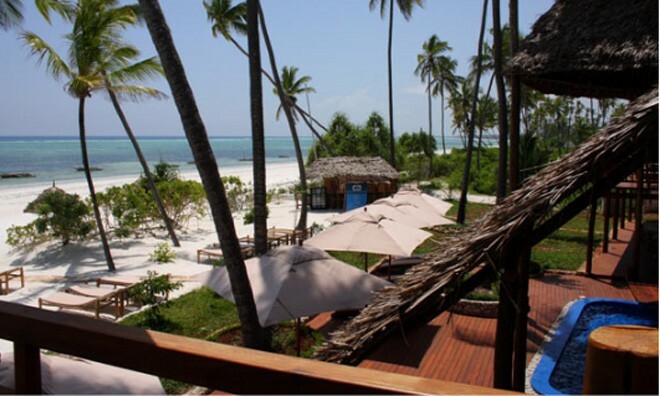 On the North Eastern coast of Zanzibar you will find Azanzi, a small Zanzibar beach hotel right on the beach. White sandy beaches and crystal clear water greet you when you set foot on this idyllic location. Local Massai greets you friendly and offers a tour or excursion or two. The Local fisherman is part of the daily activities that can be seen on this beautiful beach adding to the charm of this Island experience. 6 Deluxe Villas. 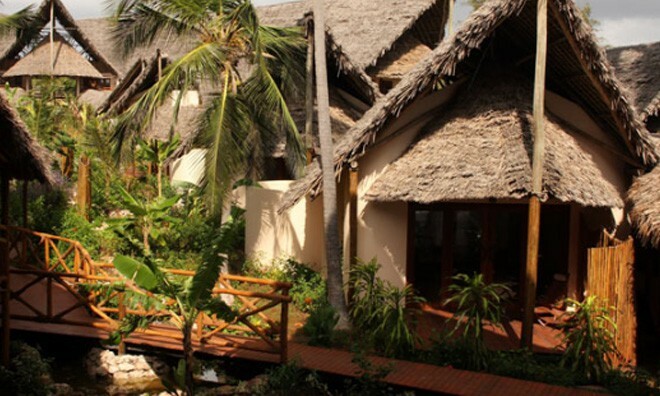 All rooms offer King Size beds, full unsuited bathrooms, mini bars, air conditioners and private patios. 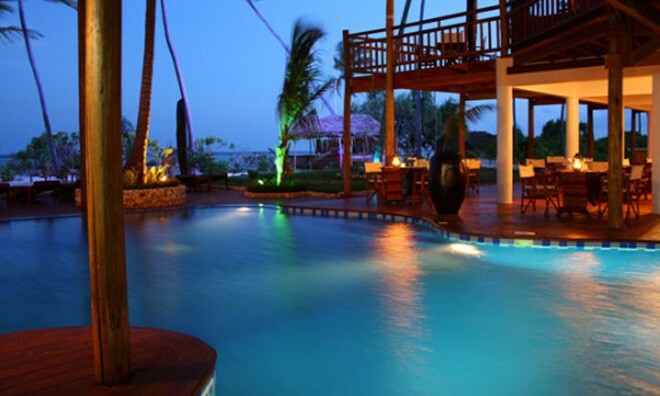 This Zanzibar hotel has a central guest entertainment area with multi-level viewing decks and offers beautiful views of the Indian Ocean. 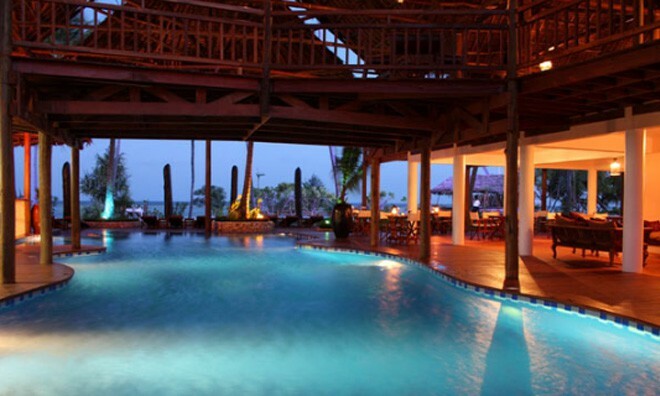 A under roof azure swimming pool is the centre of attention and creates the feeling of relaxation. 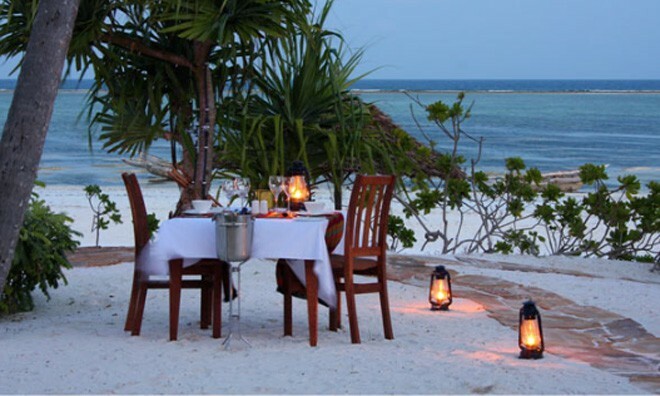 Guests can book a range of activities at Azanzi including spice tours, Stone Town tours, sailing, fishing diving and it's the only hotel on the Island that has glass bottomed sea kayaks. 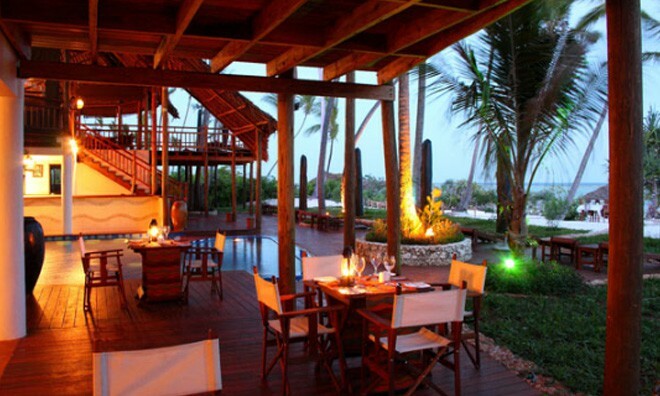 This resort is perfect for family getaways and romantic vacations. It offers something very different to travellers. If you are expecting a big resort like atmosphere you will be sadly disappointed. 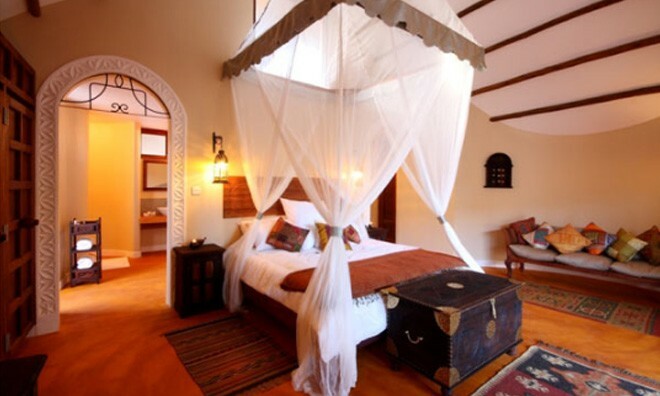 If you are looking for a sense of welcoming and a bit more of a personalised holiday Azanzi is the place to be. 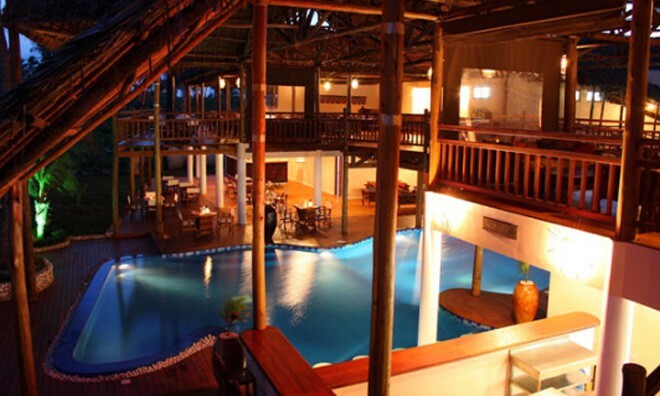 Staff are warm and friendly and give you that sense of friendship and family this 4* Zanzibar beach hotel is a little gem welcoming you to a great authentic Zanzibar experience. 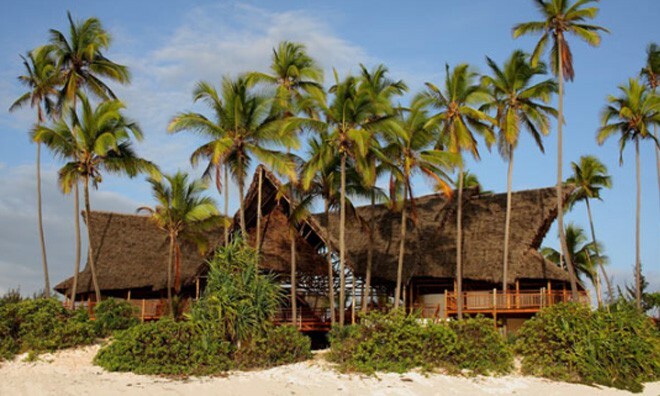 Why not share your experiences and reviews with the community and write a review for Azanzi Beach Hotel Zanzibar.